The three images below were brought to our attention by Lima Town Historian Doug Morgan. They were taken by farmer George F. Corby in 1913. Upon his graduation from high school, Corby and his classmates took a motor car journey to "Portage Park". The photographs were placed in an album that was handed down through the Corby family. Two of the photographs were taken in what is now Letchworth Park, the third at Fall Brook near Geneseo. Each is presented below with a discussion of the view below the image. Special thanks to Cathy Corby Gardener, great grand niece of George Corby for allowing us to post these wonderful photos. Also thanks to Doug Morgan sending them to us and Ted Bartlett for his comments on the Glen Iris photograph. It is very rare to see a photograph of the back of the Glen Iris. Most photographs are taken of the front or the north side of the building. Yet young George snapped a photo of the rear of the building? Why? Perhaps he and his party had probably just visited the new museum building and were in a hurry to move on to the next stop. 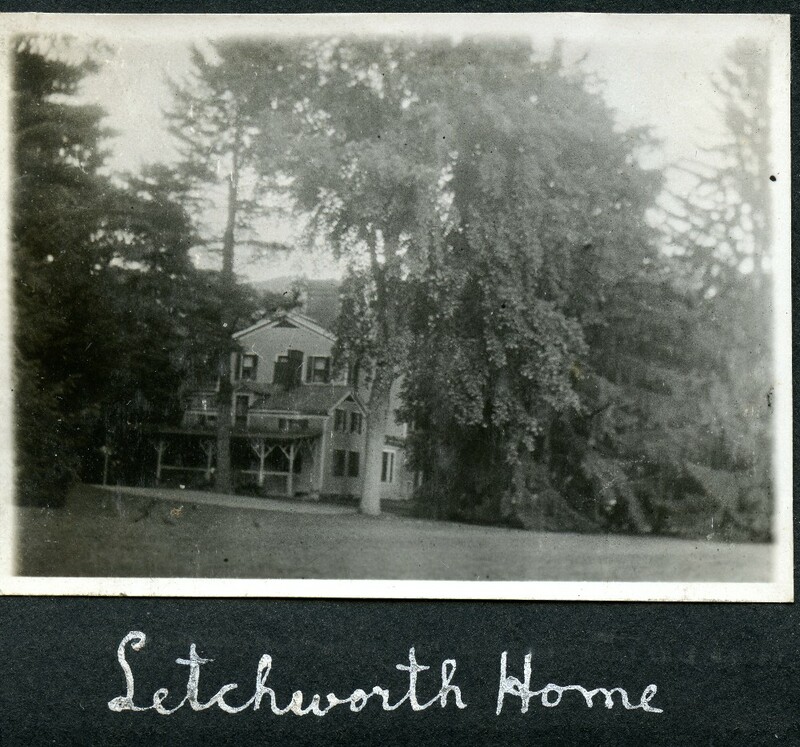 Instead of taking the time to walk to the front, he took what he could see of Mr. Letchworth's former home. What ever the reason, George Corby preserved a previously unseen look at the rear of the Glen Iris before major renovations began that would transform it from a residence to an inn. Ted Bartlett, a expert on the Park and Glen Iris, provided us with the following commentary on the image. "Great image. Yes this appears to be before the 1913 work. 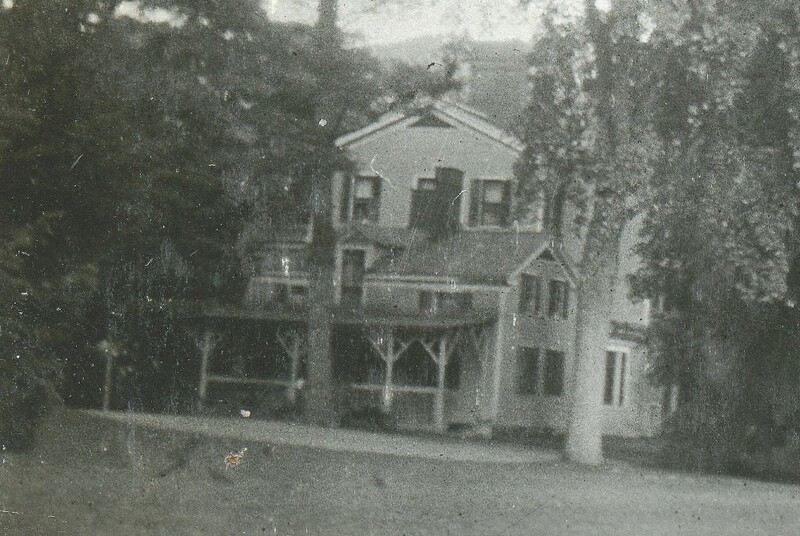 In 1913 they added the second and third story over the back wing, but it looks in this image that the side porch to the right has already been filled in with the dining room expansion. So I am guessing this is early in the season in 1913 before the big project was done. The work involved addition on top of the rear wing, removing the existing second story and roofs. The gable with the three windows in the distance is Mr. L's room on left, center bedroom in the middle and small tiny bedroom on right. The window on the right is where the third story hallway to the 1913 wing is located. The little porch is on the back of the kitchen. The concrete pad (in foreground) is interesting, but not sure what it is." An enlarged version is found below. 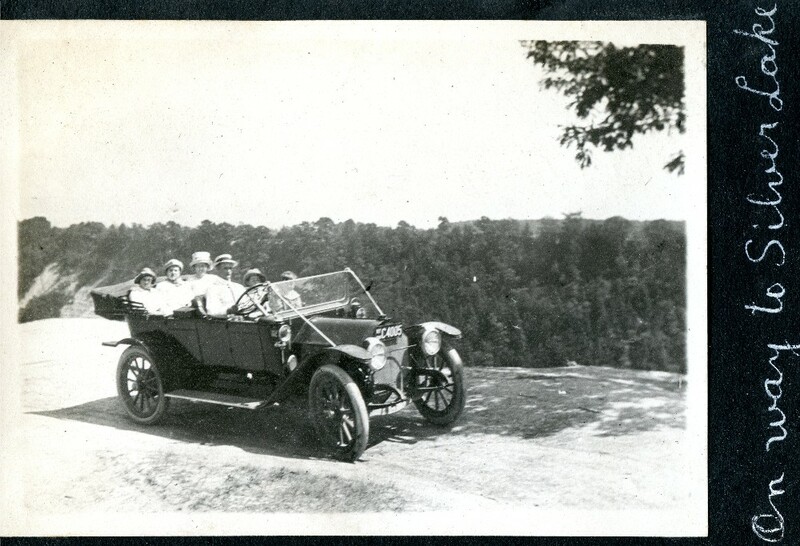 The above photograph is labeled "On Way to Silver Lake" as seems to be taken on a pull off along a road near the gorge. This might be in the Big Bend area. 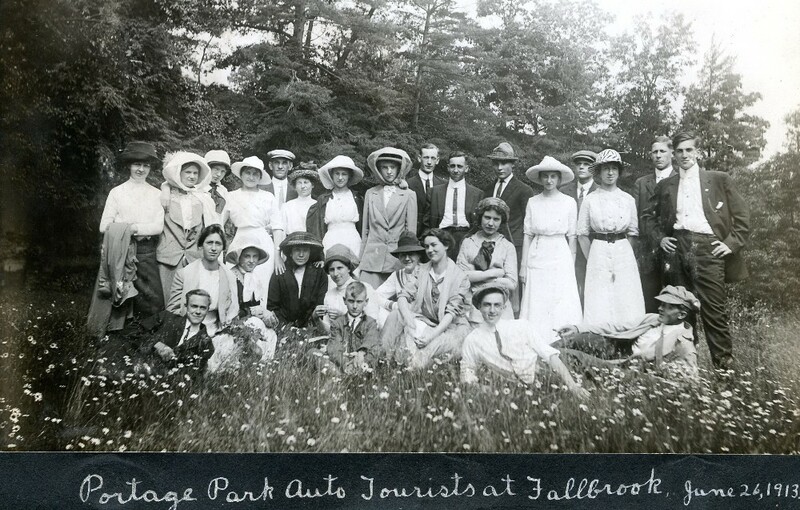 The image below shows the group posed at Fall Brook on their way to "Portage Park".